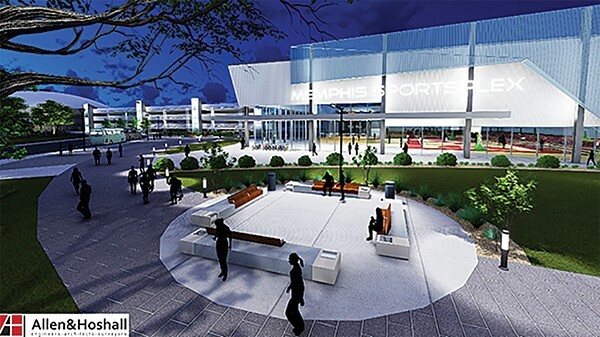 City leaders cleared a major hurdle Monday morning with a positive vote from state leaders on the city's plan for the redevelopment of the Memphis Fairgrounds. Memphis Mayor Jim Strickland and Paul Young, the city's director of Housing and Community Development, won approval of the city's revamped Tourism Development Zone (TDZ) from the executive committee of the State Building Commission during a meeting Monday morning in Nashville. The proposed youth sports complex. The move would allow state taxes inside the zone to be redirected to pay for the possibly $181 million plan that would transform the Fairgrounds into a youth sports mecca. "Competitive youth sports is a huge business and, if you've ever been, it's a lot of fun, too," Strickland told the four-member committee Monday morning. Young said the TDZ proposal before the board Monday was completely different from the plan put before them in 2013. He said his team looked again at competitive youth sports market reports and ensured the plan focused only on those sports with which they could compete (basketball, volleyball, mat sports, and indoor cheerleading). Also, Young said his team "right-sized" the retail spaces, the sports facilities, and made sure the complex would not compete with existing sports facilities in the Mid-South. Young explained the project would move through three phases. Phase one is complete, with Tiger Lane, improvements to Liberty Bowl stadium, and preparations for phase two. That part of the project would include the construction of the youth sport complex, which would front Southern on the south end of the Fairgrounds. But before hammers begin to swing on the complex, state officials will have another review of the plan. Monday's approval of the TDZ allows city officials to begin collecting commitments of the $61 million in private funds needed to fuel phase two of the project. State finance officials will only sign off on the $90 million in bonds city leaders will issue for their part of the project if they can raise those private funds. "If the money and the numbers do not work out, we will not move forward with the project," Young said. During Monday's meeting, Justin Wilson, the state Comptroller of the Treasury, said at first he was "very suspicious of this project." But with those financial assurances from city leaders (that they'd halt the plan if the money didn't work) and that state officials would get another look at it later, "I'm satisfied this is the appropriate thing to do." If the finances are in line, city leaders could issue the bonds next year or early 2020. With that, the plan said the complex could open by 2021 or 2022. Phase three of the project would begin within five years of the completion of phase two. Phase three could cost up to $30 million and include "iconic" entrances and exits, improvements to the Pipkin building, expanded parking, a tourist attraction at Melrose High School, and more. 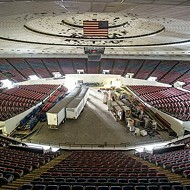 The Mid-South Coliseum would remain mothballed under the plan, but Young told committee members Monday that private funding to revive the building might emerge if the area around it were reactivated.